It seems innocent enough. Above is the noble possum, or opossum; I can’t really tell the difference and use the two terms interchangeably. Whichever one it is, it’s noble and kind of cute, I think. Australian commuters and the folks in the neighborhood of Newport train station aren’t laughing at his cuddly antics. A possum knocked out power for a crucial railroad switching station, knocking 430 homes and businesses off the grid and delaying the commute of thousands of people streaming into Melbourne. Whoops! A spokesman for Jemena, the power company in the area, says that power to the homes has been restored as of 9:30 AM. 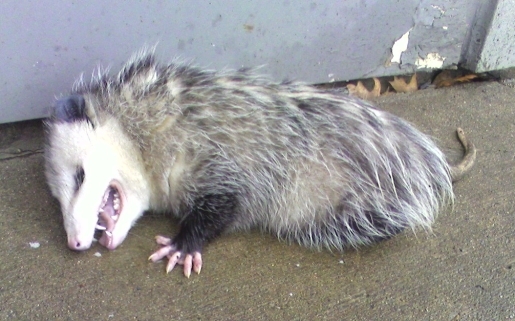 As for the possum, well, I’m sure he was delicious after his electrical deep-frying.